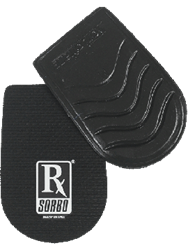 A blog series on the topic of selecting the best football cleat insoles and best soccer cleat insoles is now available from RxSorbo, leading online retailer of top-rated shoe insoles. The new series comes just in time for the Fall football and soccer seasons. When looking for insoles that provide a performance advantage, it is not the case that one size fits all purposes. RxSorbo, a leading online retailer of top-rated shoe insoles, is pleased to announce the availability of a blog series on the subject of selecting the best football cleat insoles and best soccer cleat insoles. The August, 2015, updates come just in time for the Fall soccer and football seasons. To browse updated pages on available insoles for football cleated footwear and soccer cleated footwear, one can visit the following URL: http://www.rxsorbo.com/insoles/cleated-footwear/. While at the site, one can also browse the company’s entire collection of classic heel pads, classic insoles, and the all whole line of walking sole insoles. Visitors are encouraged to click up to the blog to read timely blog posts launching in August, September, and October on the intersection of insoles and soccer or football.